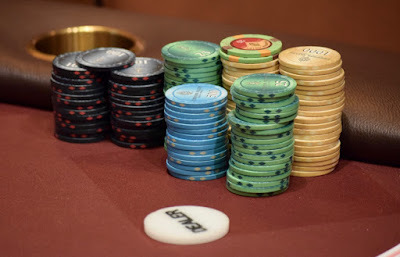 James Van Brunt limps, Arnulfo Delgadello moves in for his last 18,000, Matt Boddorf calls from the BB and Van Brunt also calls. Both players check down the 9-5-6-J-8 board. Delgadello shows Ace-Nine, he was ahead on the flop, but Boddorf's Jack_Nine turned two pair FTW as he eliminates yet another player. Boddorf and Van Brunt each have 40 percent of the chips, Duff Defer the remaining 20 percent 3-handed.